Designing has always been what floats Clare’s boat. Training initially as an architect, the Manager of Via Sollertia knew that jewellery design was actually where her heart lay. It still does. Which is kind of great for someone who collaborates with couples over rings; the symbols of their enduring love. Clare custom-designs for both locals and clients across the globe, from Via Sollertia’s New Regent Street boutique. Increasingly she’s asked for peachy, pinky, champagne-coloured diamonds in oval, marquise and pear-shaped engagement rings. The stones and metallics at Clare’s atelier are spectacular. 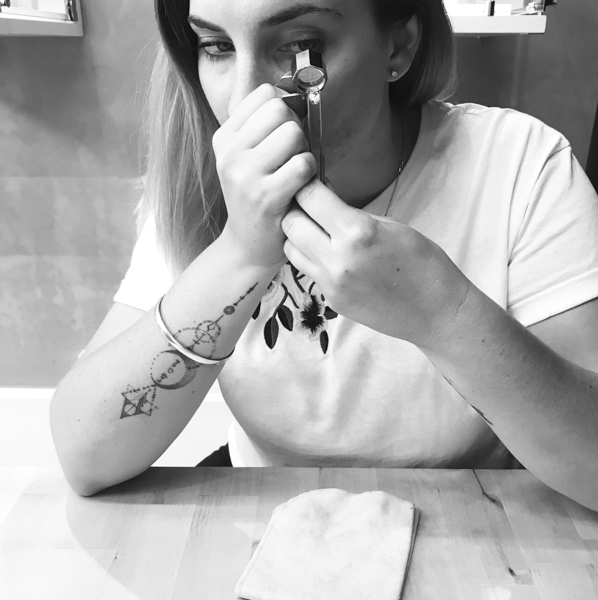 She lights up when talking about cuts of diamond and how a jewel will sit on a hand; matters of size, proportion and reflective qualities… all brilliant designer elements of every bespoke gift.